The West Virginia-ACC Lifetime Achievement Award recognizes a West Virginia-ACC member who has had a lifetime of dedication to excellence in cardiovascular medicine. The award is recognized with a plaque and overnight hotel accommodations at the Embassy Suites, Charleston, WV (if from outside of Charleston) and is presented at the West Virginia-ACC Annual Meeting on Saturday, May 11, 2019. Send a letter of nomination addressed to the West Virginia-ACC Council to devon@wvsma.org, accompanied by the nominee’s curriculum vitae by January 31. 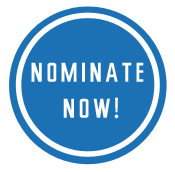 The nominating letter should summarize the nominee’s curriculum vitae, highlighting those accomplishments that are relevant to the award in order to be considered by the West Virginia-ACC Council. All nomination letters must come from ACC members. All nominees must be West Virginia-ACC members. Contact the West Virginia-ACC office.